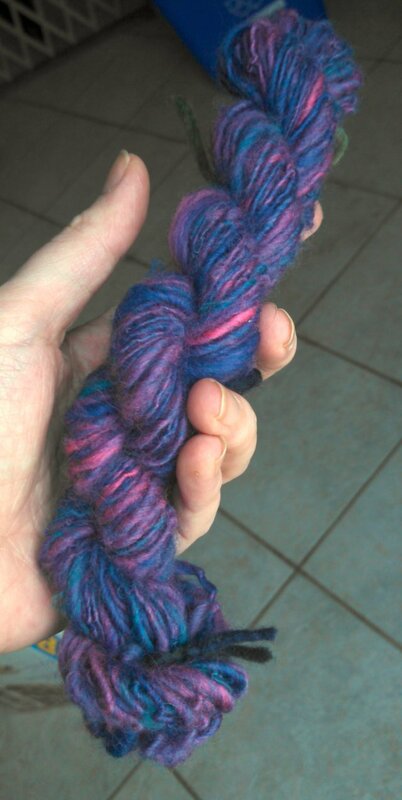 I finished spinning a little bit of some fiber that Cindy gave me. It's soft and smooshy and purple and reminded me of the powers of the Nictus. Since I already have a spun yarn called Nictus I decided to name this yarn after one of the enemies in City of Heroes, Requiem. Here's a picture of the skein. Sooooo purty!